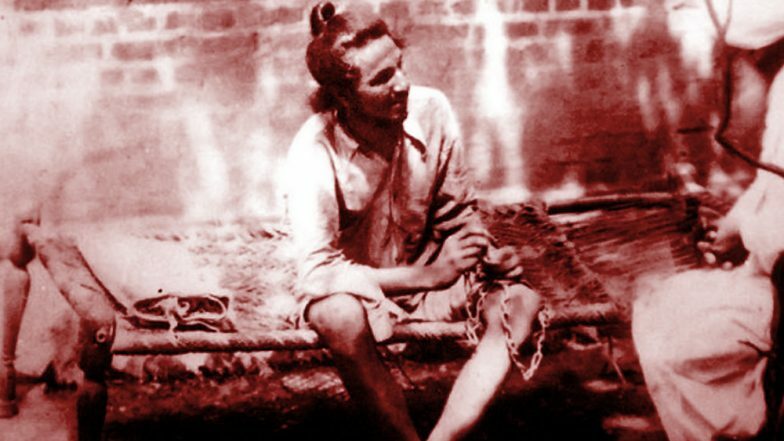 Shaheedi Diwas 2019: Bhagat Singh's Appropriation by Socio-Political Right — Blunder of History? Are there any rightful claimants to the ideology of Bhagat Singh? Is the ruling dispensation, and its ideological affiliates who are charged of driving communal passions, entitled to include Shaheed-e-Azam in their saffron posters? Is the Indian socio-political Right usurping an icon which by no means belongs to them? Irony, as some say, defines the Indian political order of the day. Even as the claimants of Bhagat Singh's ideology are those who still organise, unite and agitate under the clarion call of "Inquilab Zindabad", the ones who have aggressively usurped the pre-independence icon are lumpens thriving on polarisation, xenophobia and majoritarianism. Far from being "secular, socialist and atheist" - the words chosen by Shaheed-e-Azam to describe himself - the imposters who claim to be his true followers are "communal, jingoist and fanatics". This writer wants to ask the readers whether the Bhagat Singh Kranti Sena, a self-defined "nationalist organisation", was justified in assaulting lawyer-activist Prashant Bhushan for his contentious views on Kashmir. On the 88th death anniversary of Bhagat Singh - observed as Shaheed Diwas 2019 across the nation - let's point out at what dissects India's tallest martyr with the imposters who claim to espouse his cause. A massive chunk of the socio-political Right, who include Bhagat Singh among its icons, is a rabid votary of an intolerant fascistic Hindu Rashtra. This was a concept which the Shaheed-e-Azam renounced even before he preached for a class-less society based on the ideals of Marx and Lenin. "...this is a beautiful way to cure the malaise of communal violence. Even though we have different religious beliefs, if we separate religion from politics we all can stand together in the matter of politics and national cause. We hope that the true sympathizers of India will think over our solutions and will save India from following the path of self-destruction." Jubilant communal politics at the national stage, over the last four decades, has turned Hindu-Muslim divide an absolute normal in the Indian electoral spectrum. The condition of India has now become pathetic. The followers of one religion have become bitter enemies of the followers of the other religion. In this situation, God alone knows what will happen to India. Today India’s future seems extremely bleak. These riots have shamed India at the world stage… the role of communal leaders and newspapers in instigating these riots is shameful. In these times of communal hatred, the leaders of India have decided to remain quiet. The socio-political right is at an ideological war with the communists. The bitter hatred for the flag-bearers of Marxism was reflected with the pulling down of several Lenin statues after the Left bastion of Tripura was finally eroded in 2018. Irony is that the top leaders of the socio-political right will be paying homage to Bhagat Singh on March 23, even as they swear to wipe out communists from the Indian polity. The argument from the other side has always been that Singh was a socialist, but refrained from referring to himself as a communist. This is untrue, as the brand of socialism which the martyr affiliated himself to was near-absolutely influenced by Lenin, who in turn credited Karl Marx for the 1917 proletariat revolution in Russia. As per the records maintained by shaheedbhagatsingh.org, Singh and his copatriots - on death row in 1930 - were signatory to a message they sent via Telegram to the Third Communist International, which had convened in Moscow on the anniversary of Lenin's death. According to the Shahid Bhagat Singh Research Committee, documents have revealed the following: "On January 21, 1930, the accused in the Lahore Conspiracy Case appeared in the court wearing red scarves. As soon as the magistrate took his chair they raised slogans "Long Live Socialist Revolution", "Long Live Communist International", "Long Live People" "Lenin's Name Will Never Die", and "Down with Imperialism". Bhagat Singh then read the text of this telegram in the court and asked the magistrate to send it to the Third International." The telegram read as follows: "ON LENIN DAY WE SEND HEARTY GREETINGS TO ALL who are doing something for carrying forward the ideas of the great Lenin. We wish success to the great experiment Russia is carrying out. We join our voice to that of the international working class movement. The proletariat will win. Capitalism will be defeated. Death to Imperialism (sic)." To conclude, the appropriation of Bhagat Singh by those inherently opposed to his ideology would be a "blunder of history". It would validate what a section of Indian historians fear: facts being replaced by revisionist WhatsApp texts. The opinions expressed in the above article are of the author and do not reflect the stand or position of LatestLY.